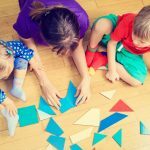 The NSW Numeracy Continuum is a highly useful diagnostic tool which can be used to observe students’ progression of understanding of essential aspects of numeracy, as they move from pre-Kindergarten (Foundation) through to the middle years of schooling. 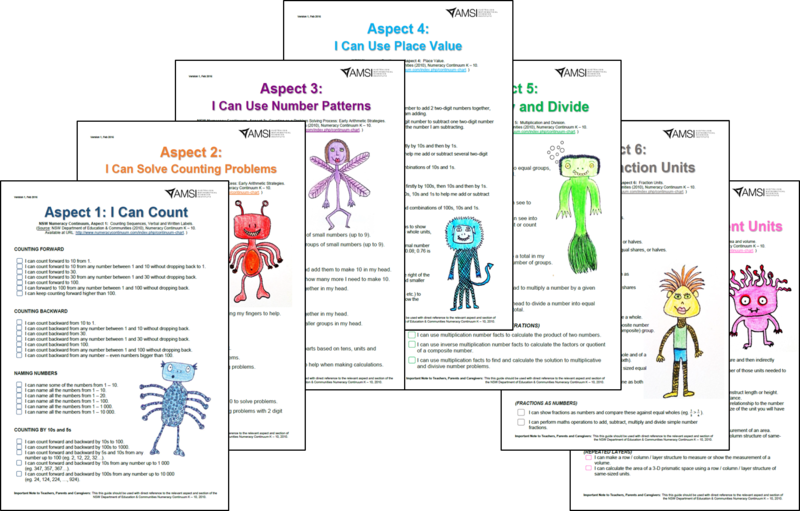 Many NSW schools develop ‘I Can’ statements to supplement their use of the Continuum, so that they can work with students and their parents when assessing and developing their skills and moving them forward in each important ‘Aspect’ of numeracy. AMSI Schools have developed a series of ‘I Can’ statements, mapped against each Aspect on the NSW Numeracy Continuum. These ‘I Can’ Statements have been updated as at November 2017. AMSI Schools will provide revisions in line with the new ACARA ‘National Numeracy Progression Framework’, currently being piloted in NSW schools and due for release to schools in 2018. You can access these here by downloading each Aspect’s ‘I Can’ Statement in PDF format. We would stress that it is important for teachers to use ‘I Can’ statements in conjunction with the Continuum document itself, and not in place of it. These simply provide a less technical explanation of what students might demonstrate at each level on the Continuum. Teachers and schools should ensure they are directly referring to the more detailed diagnostic descriptors in the Continuum document, as well as referring to the NSW Mathematics syllabus, when formally assessing children’s progress in mathematics. The NSW Department of Education & Communities also provides an excellent support site for educators using the Numeracy Continuum: http://www.numeracycontinuum.com/.